Taking roles in actual politics is generally seen as a handicap for scholars in Turkey. On the other hand, many scholars prefer to see politics as both an application field for their abstract thoughts and the peak of their careers. Some believe that the study of history has nothing to do with the actual present, while others think that historians should address their work to the wider public. During the long era of empires, historians were among the constant members of the imperial court, since history served as a genuine vehicle of demanding royal nobility and sovereignty. Similarly, the middle-class rulers of the nation-states relied on history and historians in establishing the new regimes against the ancient regimes of the aristocrats. However, in modern democracies, the role of the historian became a controversial matter after the emergence of pluralism. History is now blamed for having worked as the justifier of the ruling circles. On the other hand, many historians have been on the opposition side for centuries. There have been many occasions when a single historian like Henri Pirenne of Belgium or a group of historians such as the Annales School in France turned out the lies propagated by the ideological instruments of the modern nation-states. In Turkey, the issue is entirely different. When the Turkish Republic emerged as a successor to the Ottoman Empire by accepting its debts but rejecting its cultural heritage, the historians were obliged to take two conflicting roles at the same time. They had to offer a modern secular understanding of the long Turkish history, on the one hand, and on the other, they had to keep a scientific distance from the ruthless single-party regime. The above conflict drove Fuat Köprülü, the doyen of modern Turkish historiography, to join the opposition wing within the Republican People's Party (CHP). Köprülü was elected as a member of Parliament from the Democrat Party in later years. Köprülü's behavior forged a new path for the dissident social scientists. Osman Turan, a brilliant student of Professor Köprülü at the History Department of Ankara University was one of them. The disciple followed the master both in the study of history and right-wing politics. Osman Ferit Turan was born in June 1914 in the Aydıntepe (Çatıksu) village of Bayburt province. His family belongs to the Kurdoğulları tribe, who settled in the village of Soğanlı in Trabzon from Van. The family spent winters in Soğanlı and summers in Çatıksu. Osman Ferit was the third of four siblings. Osman Turan was schooled in Çaykara, Bayburt and Ankara. He graduated from high school in 1935 before studying a medieval history major at the history department of Ankara University. While at the history department, Turan attracted the attention of Fuat Köprülü, the founding chairman of the department, and was granted a scholarship for further doctoral studies. He earned a Ph. D. degree under the supervision of Köprülü in 1941 for his study on "the Turkish Calendar with Twelve Animals." This was the first doctoral study in the field of history in modern Turkey. After Fuat Köprülü entered politics in 1941, his successor, Osman Turan, was appointed to lecture on medieval Turkish-Islamic history. Turan could read Persian, Arabic and French. 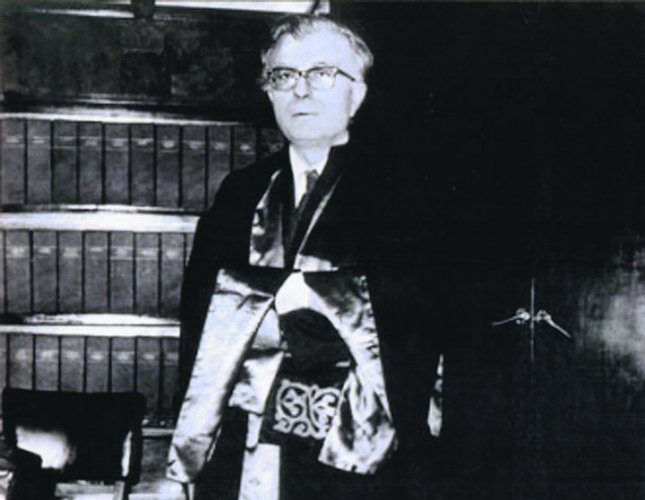 He was appointed as assistant professor in 1943 for his study on "the Turkish Titles in the Medieval Turkic States." In May 1944, Osman Turan was suspended from work by Hasan Ali Yücel, the minister of education during the single-party rule, because he welcomed Nihal Atsız, who was among the defendants of the "Turkism-Turanism case," in his office at the history department. After a six-month suspension, Turan returned to work with the help of two famous intellectual politicians, namely Memduh Şevket Esendal and Tahsin Banguoğlu. Turan served military duty in 1946 and 1947 before he visited Paris and London to conduct research from 1948 until 1950. Meanwhile, thanks to the fact that he gained the rank of assistant professor Turan gained a certain amount of freedom. Turan changed the theme of his study, and began to mainly deal with the history of Anatolia under Seljuk rule. Turan wrote various papers on Seljuk history at many national and international congresses and conferences. He has been accepted as one of the most prominent Seljuk historians in the world. Osman Turan was elected as a full member of the Turkish History Institution in 1949, and was appointed as an attending professor in the history department of Ankara University in 1951. Turan published many works from the mid-1940s until he was elected member of Parliament from the Democrat Party in 1954. He published various manuscripts on Anatolian Seljuk history and wrote many articles on Seljuk sultans for the Encyclopedia of Islam, which brought him world-wide renown in Seljuk history. However, he would publish his original volumes on the entire Turkish history and Seljuk history in the last fifteen years of his life. Osman Turan married Satıa Sultan, the great-granddaughter of Abdülhamid II in 1956. They had no children. Turan was elected a member of Parliament to represent Trabzon in 1954 and he had been a political figure since he was a student at the history department. Turan joined the Turkist movement at Ankara University in the 1940s. He continued being a nationalist-conservative political figure until the end of his life. Osman Turan was active in the Turk Ocakları (Turkish House) in the 1950s, to which he was elected chairman in 1959. Turan continued holding three positions until the May 27, 1960 military coup. He was a member of Parliament, an attending professor at the history department, and chairman of Türk Ocakları. After the military coup in 1960, Turan was arrested and kept in prison with other DP members in Yassıada for 16 months. He was eventually acquitted on all charges. Although he applied to his previous position at the history department with two separate petitions, Mustafa Akdağ, who was a leftist historian and the dean of the faculty, rejected his application. Therefore, Turan decided to join the Justice Party (AP), and was elected a member of Parliament in the 1965 election. However, he had conflicts with Süleyman Demirel, the chairman of the AP, and was dismissed from the party in 1967. Turan was not admitted to the history department after he left politics. So, he decided to retire completely in 1972. Unfortunately, the Turkish History Institution canceled Turan's full membership, which was obviously a political decision, which affected him very much and has been seen as an epic failure of the Institution. Turan fully devoted himself to intellectual and academic works after leaving politics. He wrote most of his masterpieces from 1965 until his death in 1978. His most cited works include the "Selçuklular Tarihi ve Türk-İslam Medeniyeti" (the Seljuk History and Turkish-Islamic Civilization; 1965), "Türk Cihan Hakimiyeti Mefkuresi Tarihi" (the History of the Idea of Turkish World Sovereignty; 1969), "Selçuklular ve İslamiyet" (the Seljuks and Islam; 1971), "Doğu Anadolu Türk Devletleri Tarihi" (the History of Turkic States in Eastern Anatolia; 1973) and "Türkler Anadolu'da" (Turks in Anatolia; 1973). "The History of the Idea of Turkish World Sovereignty" is the most outstanding work of Professor Turan. In this volume, Turan examines the history of ruling culture and the idea of sovereignty from the proto-Turks to the Ottoman State. Osman Turan died of cerebral hemorrhage on Jan. 17, 1978. He was known as a humble and polite personality. He showed a steady attitude during scientific discussions and was a very hard-working scholar.